I just self-published a book! Yes, I can finally celebrate the culmination of a long birth process; it took around seven months to materialize. When I started this, I never knew how much learning was involved. And it’s not that I went to a workshop for authors or anything like that, it is way deeper than that. It all started when one day I sat down and wrote a poem about a theme I like in less than ten minutes. On the next couple of days, I wrote another half a dozen; they all reminded me of themes I had taught in my kids yoga classes and the poses we performed. About a year later, I was talking to a friend and she encouraged me to turn that into a book. Even luckier I felt when she offered to edit it for free, given that I had no budget for the book. Since it is a book containing one poem and yoga poses related to it, there was not much to be edited, so that part did not take too long. For the illustrations, I was lucky enough to find another friend who offered to do it for free also. But after seeing how much time she put into her drawings and then making the cover, plus aligning text and illustrations for me according to the publisher’s needs, we agreed on a reasonable fee. She has lots of patience and redrew things many times, changed color or content in many of the pictures. And with such talent! She also was the engine moving this project forward once I got past the time I had in mind for the book to be out. So many obstacles came up, added to life still happening, but she kept nudging me and reviewing things and asking me about this and that, helping me find solutions for whatever barrier we encountered in this process. Besides all that going on, when it is just you and the illustrator looking closely to see if the book is finally ready, you need a new pair of eyes every time you have to recheck it. This brought me new insights. On many days, I would look at those pages I had reviewed many times already and see nothing to be changed. Thankfully, I opted to wait until the next day, hoping for a fresh mind to look at it again. On a couple of days, I even had to meditate to clear my mind and act as a beginner when I looked at the book before proceeding to approve it for publishing. I have to admit that it helped a lot! I believe the same thing happens in our lives. Sometimes we feel tired of trying to make something happen because we have tried already so many times and it did not work. At some point, we can’t even see the issue with clarity anymore. With a new pair of eyes, it is way easier! You could ask, for example, someone who is not involved in the issue to give you insights or if you feel private about it, try a professional (counseling) or yourself after meditation to bring a whole new view to the scene. Members of my immediate family and the illustrator’s family helped with their “new eyes”. After months putting energy into it and seeing how going through editing can change the whole idea you had for your book at the beginning, I now appreciate even more authors and the work they do. I believe many books, like mine, are born from a passion the author has and wants to share with others. Putting it into a book may help people we don’t even know find out something that will amuse them or maybe even have a bigger impact in their lives. My book was born in less than ten minutes. I got the inspiration for the poem, sat down and wrote it from beginning to end. I knew what I wanted to talk about and how it would be related to one of the jobs I have – teaching kids yoga. From that short poem to turn into a book, it took a while, way more than I expected, maybe because I tend to simplify things. But all that time was necessary to let it marinate, then cook and come out as a lovely book to be enjoyed by families and children around the world. Here is hoping wholeheartedly that this book will reach many children, their families, schools and communities to get them to spend quality time together and make this world a better place by encouraging readers to make small changes, one at a time, even if it takes them seven months to materialize those changes. 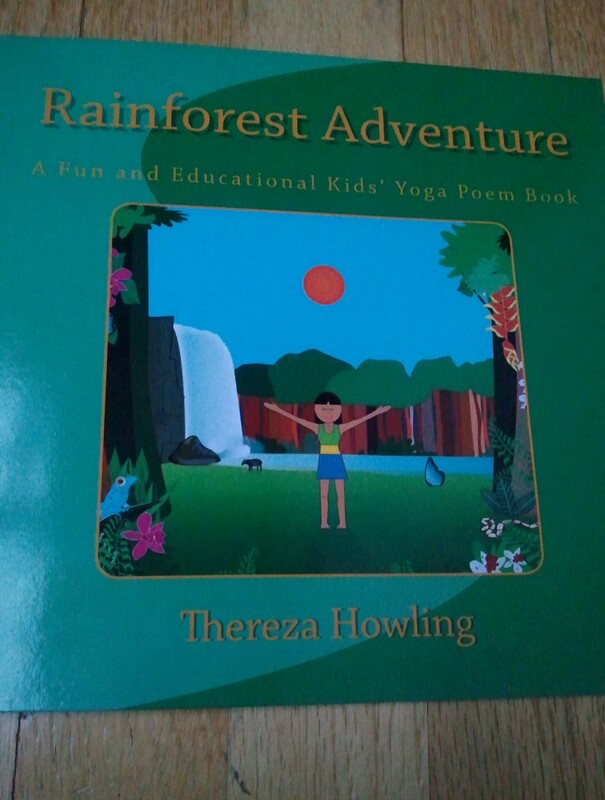 This entry was posted in Kids Yoga, Parenting, Poems and tagged determination, grateful, kids books, kids yoga, yoga. Bookmark the permalink. Congratulations!!!!! I can’t wait to open your book. I love the cover and vibrancy of the colors. I am so proud and excited for you … Awesome!! !